YMCalendar is a custom UIActivity that adds event to the calendar with EKEventEditViewController. 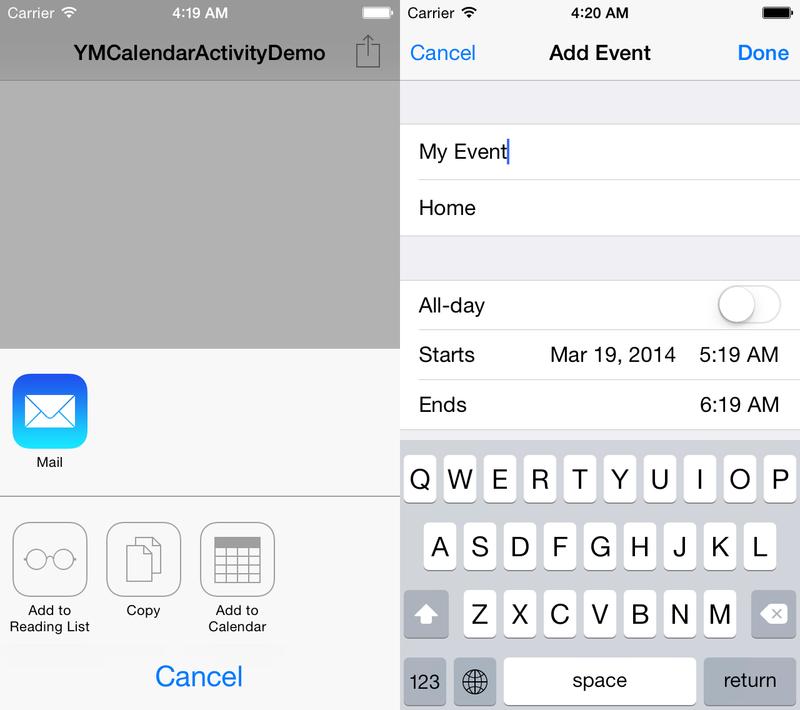 YMCalendarActivity is a custom UIActivity that adds event to the calendar with EKEventEditViewController. iOS 6+ for UIActivity support. Add EventKit.framework and EventKitUI.framework to your project. Then add YMCalendarActivity.h, YMCalendarActivity.m, YMCalendarActivityEvent.h and YMCalendarActivityEvent.m to your project. The MIT License. See LICENSE.